If your property is not on the city sewer system and uses a private septic system, you will need septic tank pumping services from time to time. Septic pumping is required to clean out the sludge that accumulates with time at the bottom of the septic tank from the waste that flows daily into the tank. You are advised to call VAC-TEC LLC. 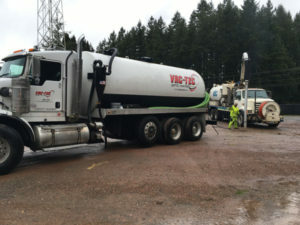 for septic tank pumping in Mckenna, WA. An experienced septic service provider, we have all that is necessary to carry out septic tank cleaning quickly, efficiently and safely. 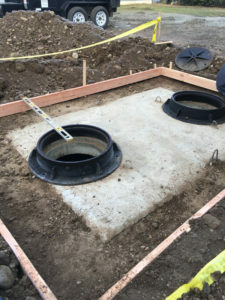 We offer routine as well as 24/7 emergency septic tank pumping services in Mckenna, catering to municipal, commercial and residential customers. It is one of the most essential property maintenance services but periodic septic tank cleaning is sadly neglected by most property owners. Most people are caught unawares when their septic system stops functioning due to an overflowing tank and then, they rush for emergency septic tank pumping services. You can stay away from septic problems if you hire us for septic tank cleaning every 3-5 years depending on the size and usage of your tank. Why Should Mckenna Residents Choose Us for Septic Pumping? Septic tank cleaning is too important to be entrusted to the first septic company you come across. You need to be sure that your septic tank is cleaned properly and completely so that the septic system keeps functioning efficiently. Get in touch with us now to receive a free cost estimate to have your septic tank pumped. Call VAC-TEC LLC. 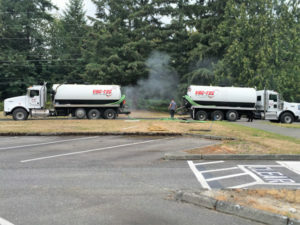 at Tacoma – (253) 777-4887 Seattle – (206) 339-0039 Olympia – (360) 338-6686 North Dakota – (701) 566-0045 to schedule septic pumping services on your Mckenna property.